Bihar Agricultural University Admission 2019: Bihar Agricultural University, Sabour (Bhagalpur) is a State Agricultural University which offers courses various Under Graduate, Post Graduate & Ph. D. Degree programme. Selection is made on the basis of merit scores secured in the offline entrance exam, conducted for to Master’s & Ph. D. programmes at BAC, Sabour Campus only. To appear for this exam, a candidate needs to fill the online application on its official website, www.bausabour.ac.in. A candidate must have passed their bachelor’s degree with at least 60% of marks in average. 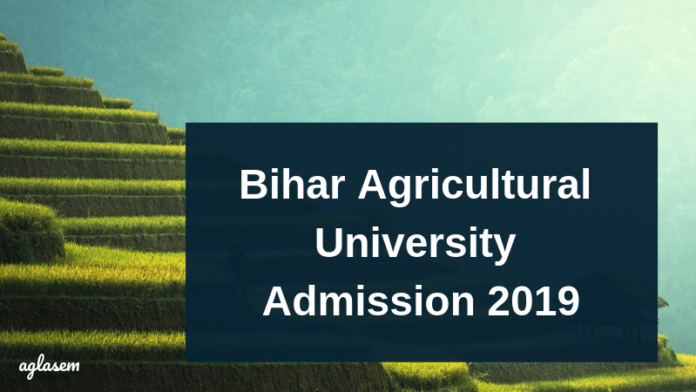 To know more about Bihar Agricultural University Admission 2019, keep reading! For admission to various Bachelor degree courses, a candidate needs to have qualified for Bihar Combined Entrance Competitive Examination. 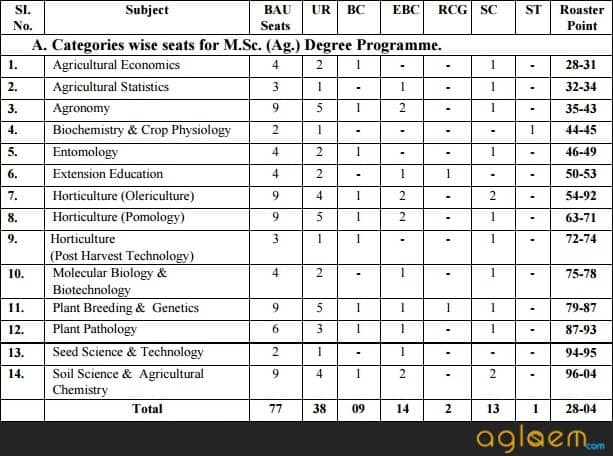 Candidates can check the schedule of Bihar Agricultural University Admission 2019, from below. Bihar Agricultural University, Sabour offers B.Sc Agriculture, B.Sc. Horticulture, M.Sc. 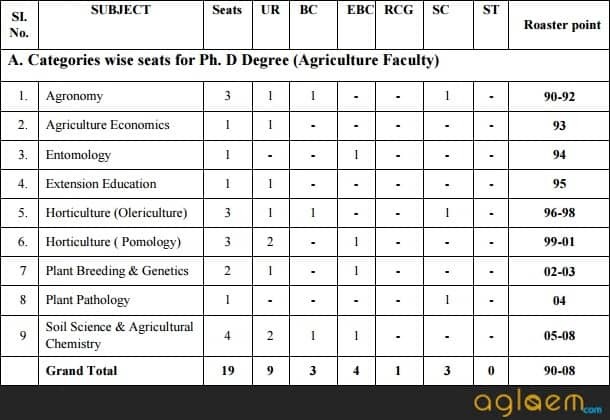 Agriculture and Ph.D programmes across these colleges. Bihar Agricultural College, Sabour, Bhagalpur. Mandan Bharti Agricultural College, Agwanpur, Saharsa. Veer Kunwar Singh Agricultural College, Dumraon, Buxer. Bhola Paswan Shasrti Agricultural College, Purnea. Dr. Kalam Agriculture College, Kishanganj. Nalanda Horticulture College, Noorsarai, Nalanda. Candidates need to fulfill these eligibility criteria for Bihar Agricultural University, Sabour admissions. Interested candidates must have appeared and passed BCECE, conducted by Government of Bihar. Otherwise, should have appeared and qualified for All India Entrance Examination conducted by ICAR. 80% of the total seats are reserved for BCECE qualified candidates and 15% of the total seats for AIEE ICAR qualified candidates. 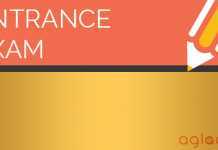 Minimum Qualification – Should have passed Class 12 or equivalent level. Educational Qualification – Must have passed or is appearing for his/her Bachelor Degree Examination. However, a candidate must have their final result on or before the date of Ist counseling. Domicile – Only Bihar candidates are eligible to apply for Master Degree Programme. Educational Qualification – Must have passed or is appearing for his/her Masters Degree Examination. However, a candidate must have their final result on or before the date of Ist counseling. Domicile – All candidates can apply for PhD programmes. Note, that a candidate can apply for admission to only one subject and no change would be allowed thereafter. Bihar Agricultural University, Sabour (Bhagalpur) releases online application form for admission in various UG, Master’s Degree and Ph.d. Degree in Agriculture stream. Interested candidates can fill the online application form from the “Application Form” page. Before filling the application form candidates must ensure his / her eligibility. Application form must be filled and submitted on or before its last date. 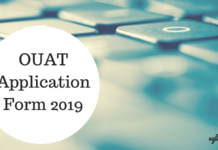 After filling the online BAU application, save a copy of application form for future reference. A candidate need not send a copy of their application form, after having filled it. 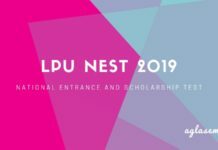 Application Form Fee: The fee for this year, has not yet been declared. Candidates can check the expected Bihar Agricultural University, Sabour application fee, from below. Select domicile state, program and category. Fill personal details, Aadhar card details and educationsl qualification details. Upload a recent passport size photograph. Make payment of the BAU Aplication fee. Bihar Agricultural University has releases the Admit Card for the Master and PhD examination at its official website, www.bausabour.ac.in. Candidates must carry a downloadable copy of the same and carry it on the day of the offline entrance test or they will not be allowed to sit in the BAU exam center. The Registrar also issues a duplicate admit card, a day before the exam date on payment of a specified amount, along with submission of 2 photographs and a proof of application submission. Last date, this fee amounted to Rs. 50. Bihar Agricultural University will conduct the entrance examination for the admission in various Master’s Degree and Ph.d. Degree in Agriculture stream offline at the chosen examination centers. Candidates who are going to appear in the examination can check complete details on the examination from below. Marks Per Question – 0.5 marks. High School/equivalent examination mark sheet as well as certificate for proof of age. 10+2/Intermediate Examination certificate and marks sheet. Bachelor Degree Certificate/ Provisional Degree Certificate and Transcript. Domicile Certificate issued by the Competent Authority. Caste certificate issued by the the Competent Authority. (in case candidates claiming reservation). Counseling does not guarantee admission. It depends on merit and availability of seats in a particular stream/ discipline. In case, candidates fail to attend the counseling his/her candidature shall automatically stand rejected. University shall not bear any responsibility for any postal delay. As per the norms of the Bihar Government, the categories like UR/BC/EBC RCG/SC/ST will be allotted a seat in BAU. As this decision is final, no changes can be made after its implementation. To check the reserved seats, a candidate can keep a check at the Bihar Government website or stay updated with our page! The Vice Chancellor has the right to cancel the candidature, if he/she finds this is not in the best interest of the University. Candidates who have permanently dropped or have been dismissed on a temporary basis shall not be considered eligible for admission. Note that, candidate concealing any facts and still applying will also not be eligible for admission. Candidates found using unfair means in Entrance Competitive Test will be permanently debarred from appearing in future in the Competitive Test of the University. No candidate is granted admission on the basis of wrong or concealed information, provided by a candidate. Such candidates candidature stands cancelled, even after having qualified for the exam. Candidates can check the fee structure of the various courses, that BAU offers from below. Note that, if any changes we will update this page accordingly! For more details on Bihar Agricultural University Admission, download previous year Prospectus.